Your one-time donation allows interest-free loans to be made available to the poor, the unemployed and to widows. 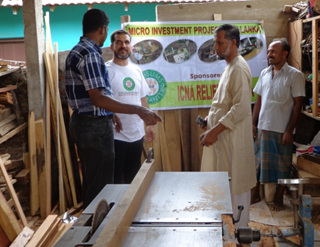 Families who are loaned money to start a small business, or buy income-producing equipment (such as a sewing machine, for example) are able to generate a source of steady livelihood which in turn leads to self-sufficiency and the ability to repay the loan. Loan repayments go back into the funding pool that is used to loan money to others in need. 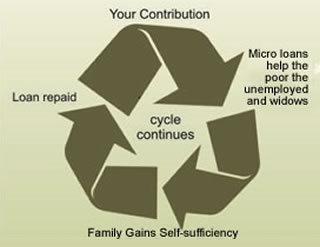 This beneficial cycle continues and becomes a Sadaqa-e-Jariya, the best form of charity. Loan levels can be $500, $1000, $1,500, $2,000 or more.